The person concerned must clearly have been a famous public figure or personality during their life, and not just because of their death. Such memorials should be created as a way of providing examples of websites to potential site users and not as part of a systematic creation of websites. 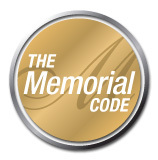 Contact all Memorial Website Creators sufficiently in advance of closure so that they have the opportunity to download all or any important information first.